Every successful excursion to exotic locales as dangerous as Fireball Island requires careful preparation to keep your loot secure. Keep your precious cargo safe and get to your destinations faster with the Fireball Island Crate from the Broken Token. 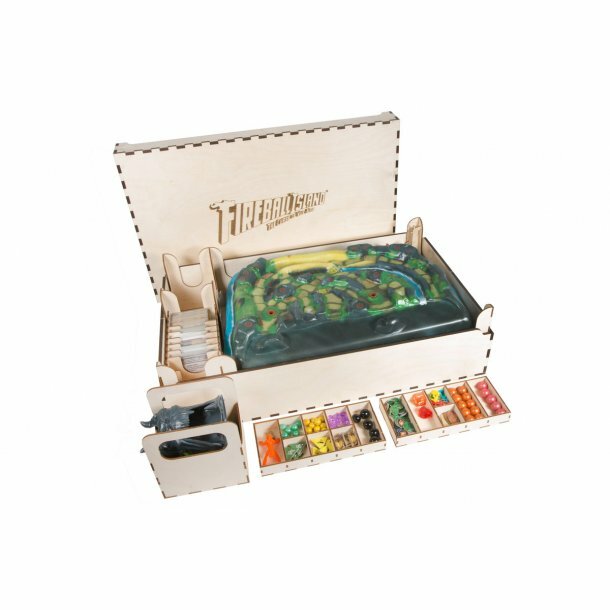 Accommodates base game and the following expansions: Wreck of the Crimson Cutlass; Treasure Trove; The Last Adventure; Crouching Tiger, Hidden Bees!, promo cards, and our premium upgrades: Fireball Island Upgrades: The Maw and Hello-Copter.